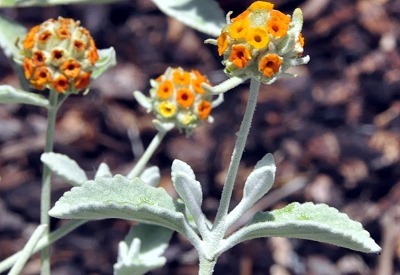 Orange Woolly Butterfly Bush is native to southwestern arid areas. It makes a great plant for areas with high heat. Even though the flowers are small they are vibrant and profuse on the bush and are definitely a butterfly magnet. Orange Woolly Butterfly Bush makes a great addition (for zones 8-11) to our Wildlife Herb Garden Six Pack and to our Zone 8-11 Fragrant Herb Garden. Fragrant Ornamental We are sorry but this plant will not be available in the near future.